John Pender, who was to become Chairman of the largest submarine telegraph operating company in the world, was born in Bonhill, Scotland on 10 September 1816. In 1824 the Pender family moved from Bonhill to the Gorbals, which at that time was outside Glasgow, and John Pender attended Glasgow High School from 1824 to 1830. He then took up an apprenticeship as a Pattern Maker in Bonhill (almost certainly at Croftengea, and then run by Turnball & Jones). They sold the business to John Orr Ewing and Robert Alexander in 1835 and at this time John’s career path changed and he was groomed for management. In 1837, on his 21st birthday, he was appointed as Manager of the factory. He subsequently married Marion Cairns, with whom he had a son, James, born 28 September 1841. Marion died on 16 December 1841, her 22nd birthday. The cause of her death is unrecorded but it may have been complications related to the birth. partner Robert Alexander, Pender left Glasgow and moved to Manchester on 1 January 1844. Here he established his own business, John Pender & Co, Commission Agents. John Pender’s business involved the buying of "grey cloth" from the manufactures and selling it on to the bleaching, dying and printing companies, He then exported the finished products to India and China, taking a commission on all transactions. He was one of the first middleman agents and made a great deal of money very quickly. Pender’s father James had his own company, James Pender & Co, Calico Printers in Glasgow, and when the elder Pender retired in 1850 his business was absorbed into John Pender & Co, providing the business with Glasgow offices. On 9 June 1851 Pender married Emma Denison and in 1852, on Emma’s recommendation, he bought shares in and joined the board of directors of the English & Irish Magnetic Telegraph Company (E&IM), later the British & Irish Magnetic Telegraph Company. This company was based in Liverpool and Dublin, and following the success of the cross-Channel cable in 1851 they became interested in connecting England and Ireland. R.S. Newall had made two attempts on this route; the first in 1851 failed, and the second in 1852 succeeded, but the cable was cut by a ship’s anchor after three days. In those days the means of recovering such a cable were not available. The E&IM were then given permission to lay an Anglo-Irish cable and Charles Tilston Bright, electrical engineer to the company, supervised all aspects of the work. The cable, which ran from Portpatrick, Scotland, to Donaghadee, Ireland, was successfully completed on 23 May 1853. The following year a second cable was laid, running from Portpatrick to Whitehead, Ireland. Both cables were manufactured by R.S. Newall & Company, who used CS William Hutt to lay them. Pender followed closely Bright’s project to lay these cables, and it was this that sparked his life-long interest in submarine cables. In 1857 he led the merger with the British Telegraph Co Ltd and became chairman of the new company, the British & Irish Telegraph Co Ltd. This company provided the vital link between London and the West Coast of Ireland for the Atlantic Telegraph. Pender remained as chairman until the company was nationalised under Disraeli’s 1868 Telegraph Act. 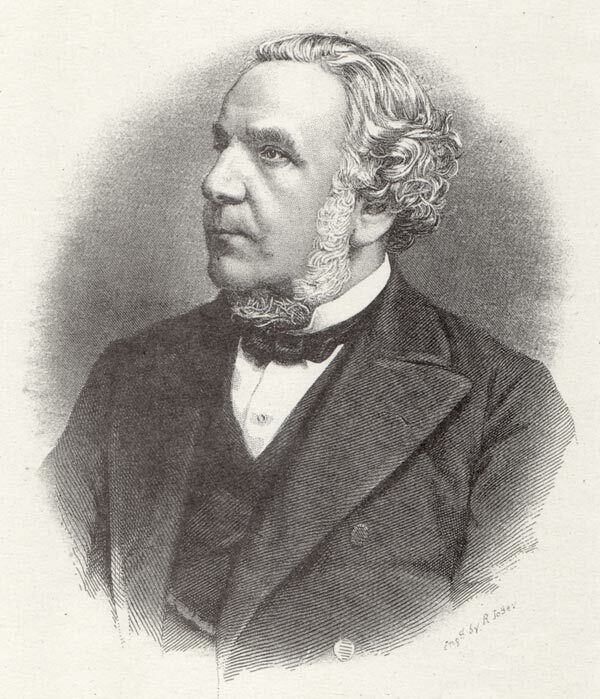 He resigned as chairman and sold his shares in 1869 before they could be compulsorily purchased. The company came under Post Office control in 1870. 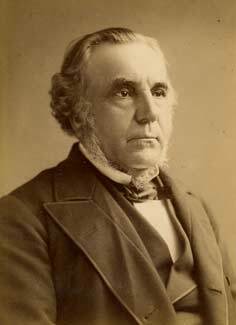 Meanwhile, in 1852 Frederic Newton Gisborne had obtained from the Newfoundland Government a thirty-year concession to connect Newfoundland by telegraph to the mainland of Canada, with a landline across Newfoundland from St. John’s and Cape Race to Cape Ray and a cable across the Gulf of St. Lawrence. Within a year the company was bankrupt and during Gisborne’s attempt to raise more capital he came into contact with Cyrus Field. Cyrus Field was all for the idea - in fact he decided to extend it across the Atlantic. He renegotiated the concession with the Newfoundland Government and had it extended to fifty years from 1856. He then set up the New York, Newfoundland and London Telegraph Company and begant raising capital in the USA. Unable to interest enough people with the idea, he visited London with the same intention. Realising that he was more likely to raise capital with an English company, he changed the name to the Atlantic Telegraph Company. A prospectus was issued on 6 November 1856 and amongst the 345 people who purchased a £1,000 share was John Pender. At the first meeting of the company on 9 December 1856 John Pender was amongst those made a director. At the meeting Glass, Elliot & Co and R.S. Newall & Co were each instructed to manufacture 1250 nm of cable with core supplied by the Gutta Percha Company. Both the British and American governments agreed to pay a subsidy of £14,000 for a given period, then a reduced one of £10,000. They also loaned HMS Agamemnon and USS Niagara respectively to carry out the laying. The first attempt in 1857 failed. The company managed to raise sufficient money to replace the 330 nm of cable lost. After three failed attempts in 1858, the fourth, which set out on 17 July, succeeded in completing the cable. O 13 August 1858 the first official transmission took place, a ninety-eight word message from Queen Victoria to President Buchanan, which took sixteen hours to transmit. It was to be a short-lived success; by 20 October, when the cable failed, a total of 723 messages had been transmitted. The American Civil War prevented another attempt for a few years but Cyrus Field was still active in trying to raise capital. He managed to raise £300,000 and Glass Elliot were awarded the contract to manufacture the cable. The problem was that the Atlantic Telegraph Company only had £300,000 of capital and the cable expedition would cost £837,140. Glass, Elliot could not carry the balance by itself, so John Pender put forward the idea of a merger between the Gutta Percha Company and Glass, Elliot. To enable the merger to go through John Pender personally guaranteed the £250,000 wanted by the Gutta Percha Company for its patents and assets. So on 7 April 1864 the Telegraph Construction and Maintenance Company Ltd. (Telcon) was formed with John Pender as chairman, and Richard Glass of Glass, Elliot and Henry Ford Barclay of the Gutta Percha Company became joint managing directors. Recognizing that Brunel’s Great Eastern would be the ideal ship to lay the Atlantic cable, John Pender, with Thomas Brassey, assisted Daniel Gooch in the purchase of the ship, the setting up of the Great Eastern Steamship Company, and the conversion of the ship for cable work. Pender was a director of this company until the ship was decommissioned in 1878. Telcon signed a contract with the Great Eastern Steamship Company to lay the new cable, and Gooch joined the board of Telcon as a director. 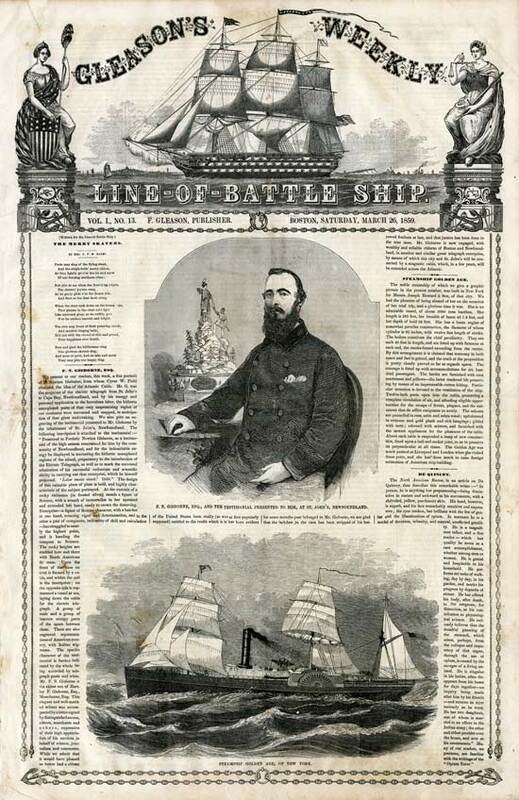 Pender also approached Cunard and secured the services of James Anderson as master of SS Great Eastern for the 1865 & 1866 lays. CS Great Eastern left Ireland and began laying the 1865 cable on 23 July 1865, but on 2 August the cable broke and was lost in 2,000 fathoms just 600 miles from Newfoundland, Attempts were made to grapple the lost cable and came close to success several times, but eventually all grapnels and rope were lost so the expedition returned to England. (See Daniel Gooch’s letter describing these events). Another attempt to raise capital was initially unsuccessful, so Gooch and Pender raised £650K to launch the Anglo-American Telegraph Company. They both became directors and Richard Atwood Glass of Telcon was its first chairman. Telcon then undertook to lay the cable for a mixture of cash and shares in Anglo American. Great Eastern left Greenwich on 30 June 1866, with laying commencing on Friday 13 July, and with only a few minor hiccups along the way Great Eastern sailed into Hearts Content on 27 July. On 9 August Great Eastern returned to sea to recover the lost 1865 cable. On 2 September they succeeded and laid the remaining 700 nm of it into Hearts Content. When Richard Glass retired from Anglo American in 1867 because of ill-health Pender replaced him as chairman, a position he held until his death. Pender stood down as chairman of Telcon in favour of Daniel Gooch but retained his stock holding in the company, and the two worked closely to build the Eastern Telegraph cable network. When Gooch died in 1889 Pender used his stock holdings to have his son James appointed to the Telcon board. James Pender remaained a director of Telcon until his death in 1921, and was succeeded as a director by Henry Denison-Pender, the youngest son of John Denison Denison-Pender. Henry retired from the board of Telcon in 1958 when the company merged with BICC, and that was the end of over a hundred years of the involvement of the Pender family in the cable industry. Note: The Smithsonian Institution has the records of the Anglo American Telegraph Company from 1866 to 1947.